Kohjinsha SC3 SSD: Not all mSATA's are equal. A long time ago in 2014 I upgraded my trusty Kohjinsha SC3 to an SSD (Original Post), however over time it started flaking out and then it up and died on me. 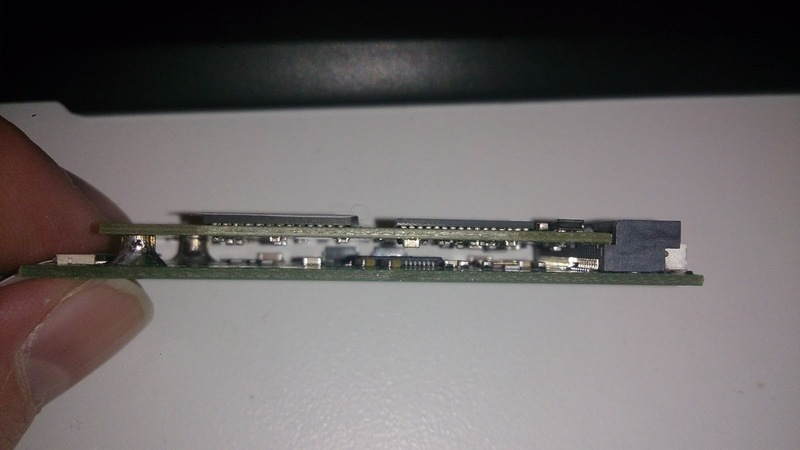 After a bit of testing it turned out the Intel 310 mSATA had suffered from it's (now) well known firmware issues and committed suicide for no particular reason. 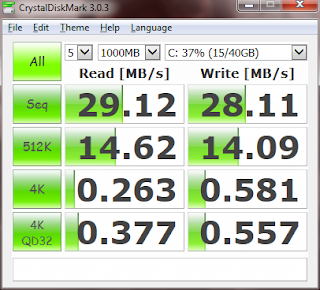 Initially I replaced it with a 2nd hand Cruicial M500 mSATA and things seemed a bit off, after much testing (again) this time it turned out the drive was hitting it's thermal limit inside the very confined space of the SC3 and then shutting down, after a few hours it would naturally cool enough to work again but as soon as any real load was applied, shutdown. 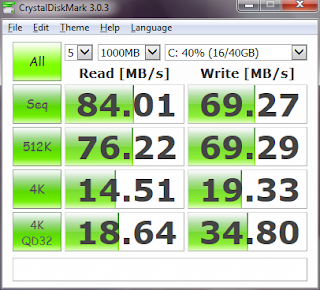 The drive itself is perfectly fine just it seems to like running a bit hot, again a known issue. 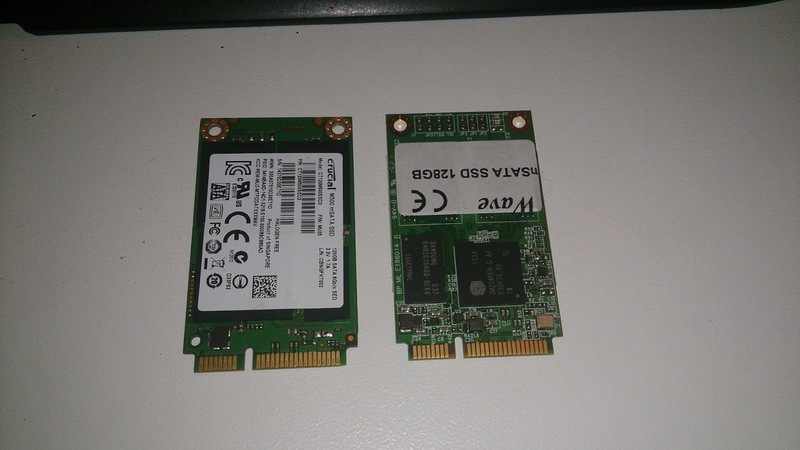 So I finally convinced myself to try one of the WAVE branded SSD's that keep cropping up on eBay, general word on the net is they they run cool and fast and seem to be relatively sound in terms of quality. First impressions it all looks quite good, enough words for a moment lets have some pictures. 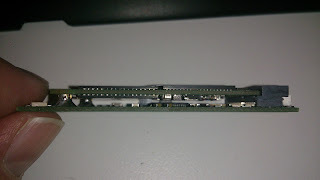 The WAVE only has chips on one side, this helps with speed and temps. 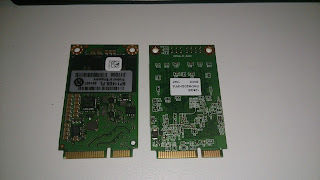 The WAVE in it's mSATA to ZIF adapter, nice air gap between the two. The Crucial M500 on the other hand is quite a snug fit. New WAVE 128GB mSATA SSD, sorry it's blurry was testing my new PODO camera. 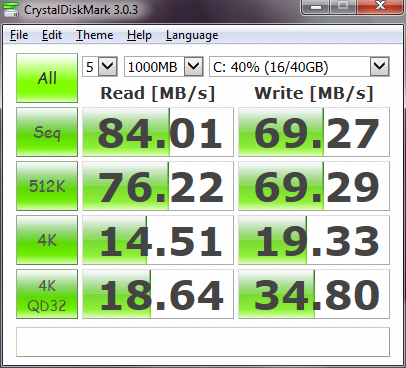 So far so good, it pretty much beats the Intel hands down aside from 4K Q32 and it does 'feel' a bit quicker. I never benched the Crucial drive mainly because I could not before it fell over, however with a USB3>SATA dongle in UASP mode it did run roughly level with the WAVE drive so I imagine similar results if it had benched in the SC3. The temperatures are the main thing here, in the open air in my frankly freezing room the Cruicial M500 idled at high 40's to low 50's and peaked at near on 60 degrees when being benchmarked. 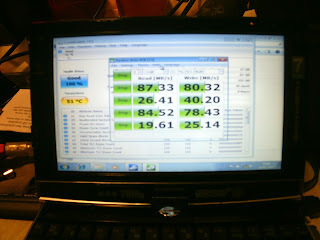 The WAVE as you can see above hit 51 degrees in the enclosed space on the SC3 while being benchmarked so this looks like another win here.